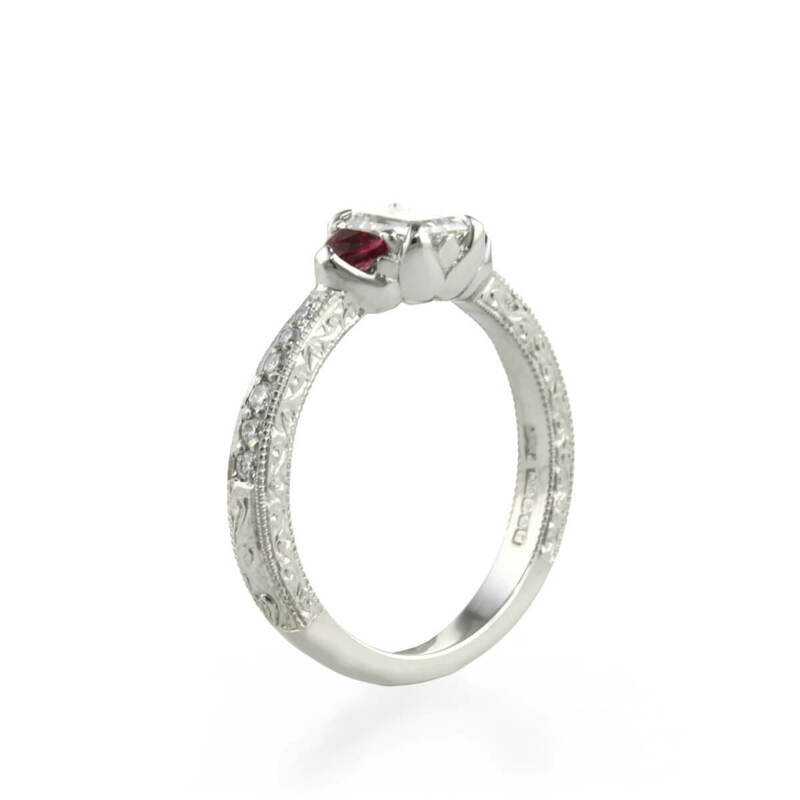 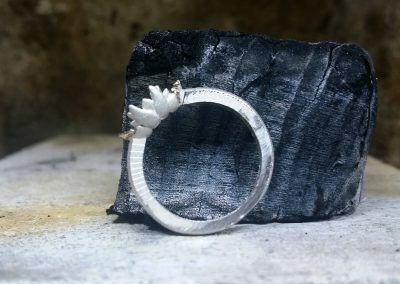 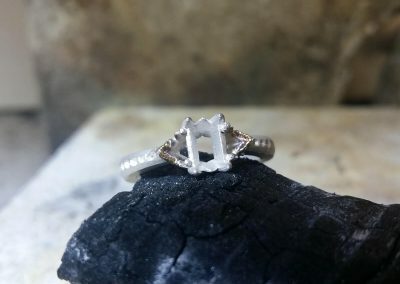 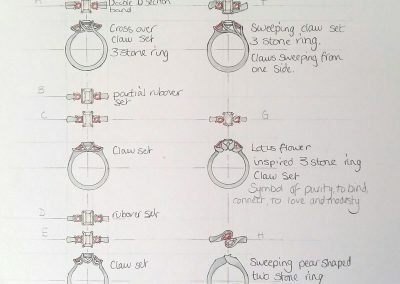 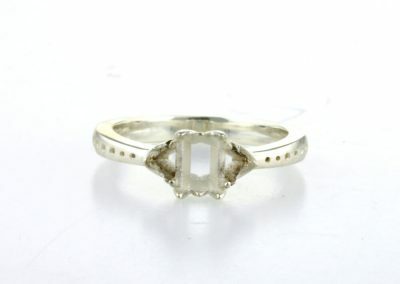 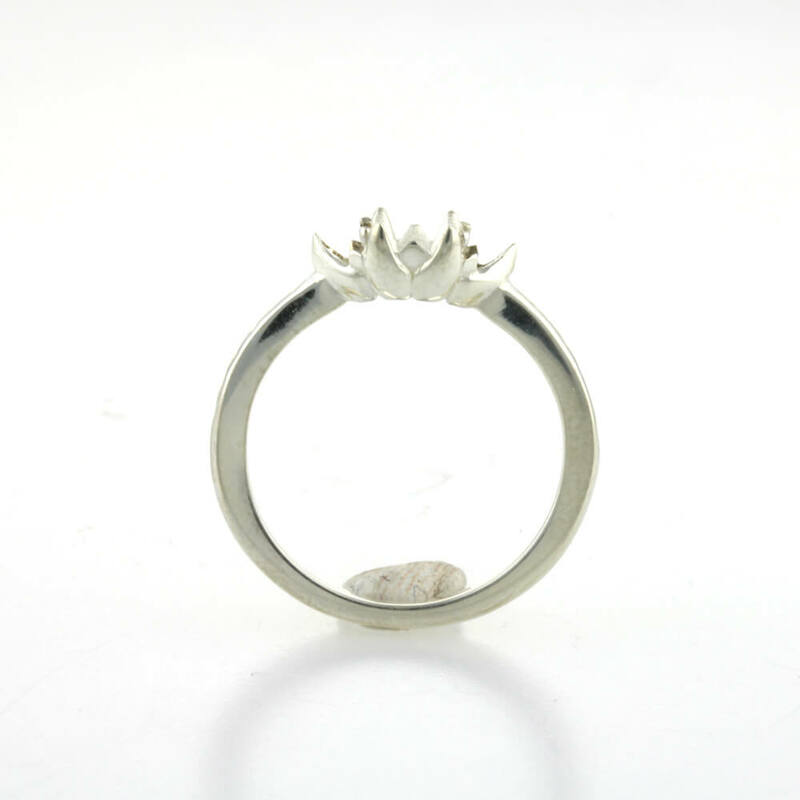 The ring was designed using CAD/CAM and initially cast in silver which was cleaned up and polished. 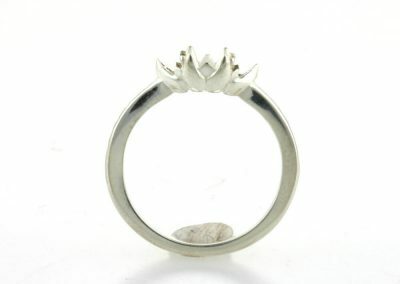 A mould was then made of the silver ring before being cast again in platinum. 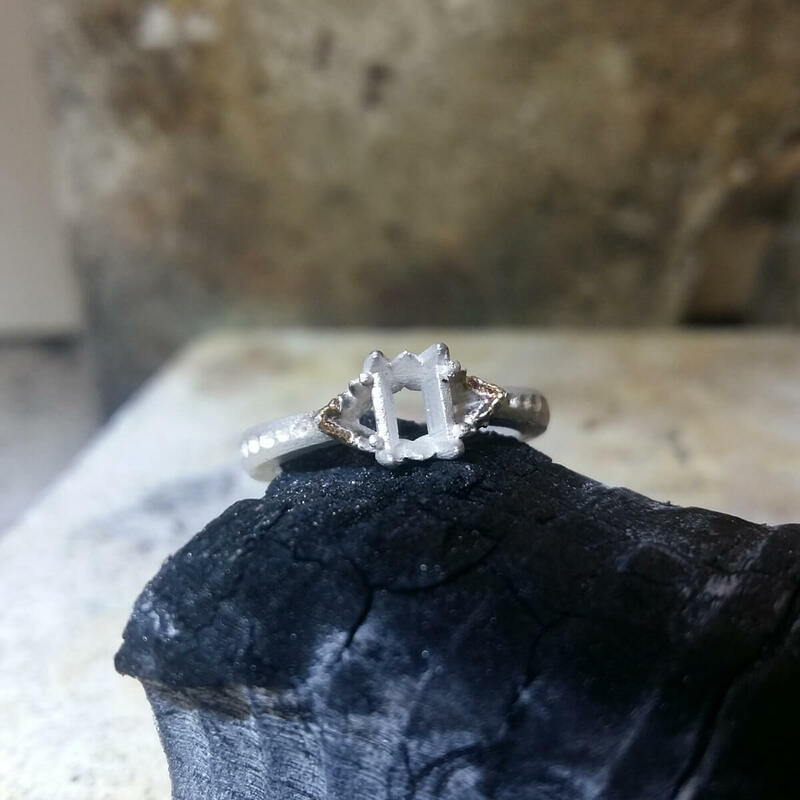 A final clean up and polish and the ring was ready to be hand engraved and stone set. 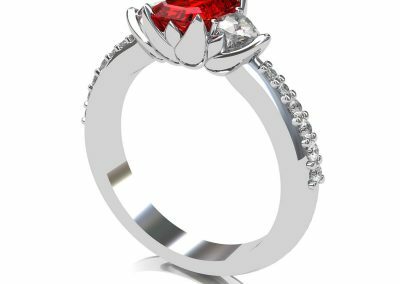 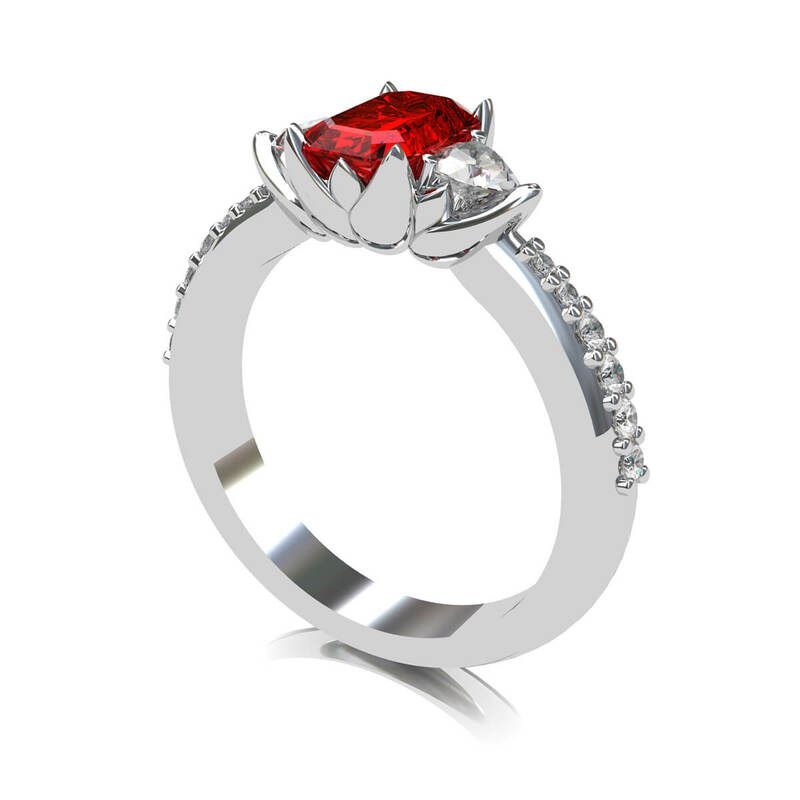 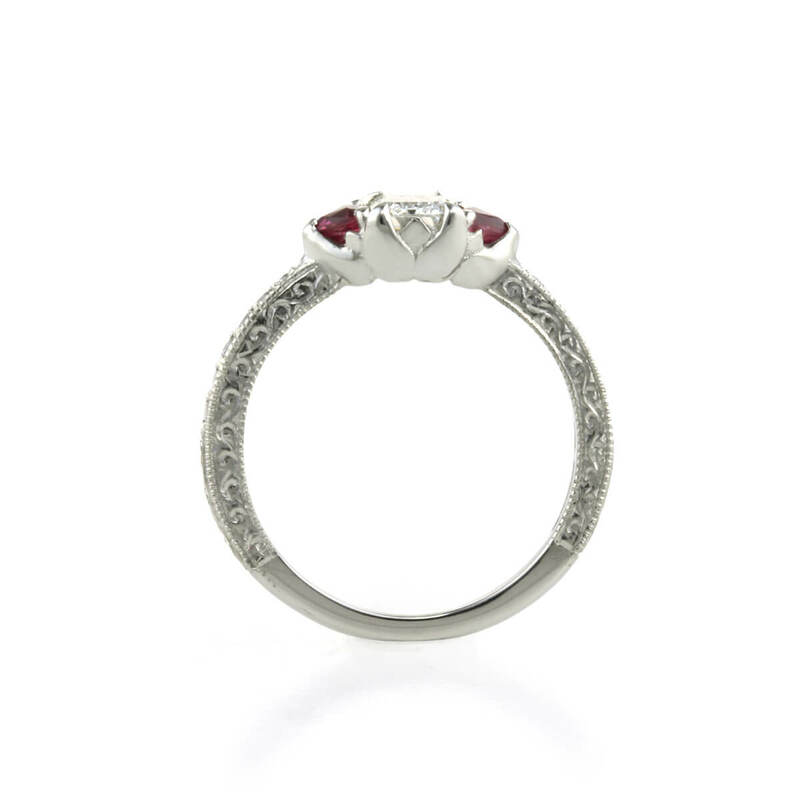 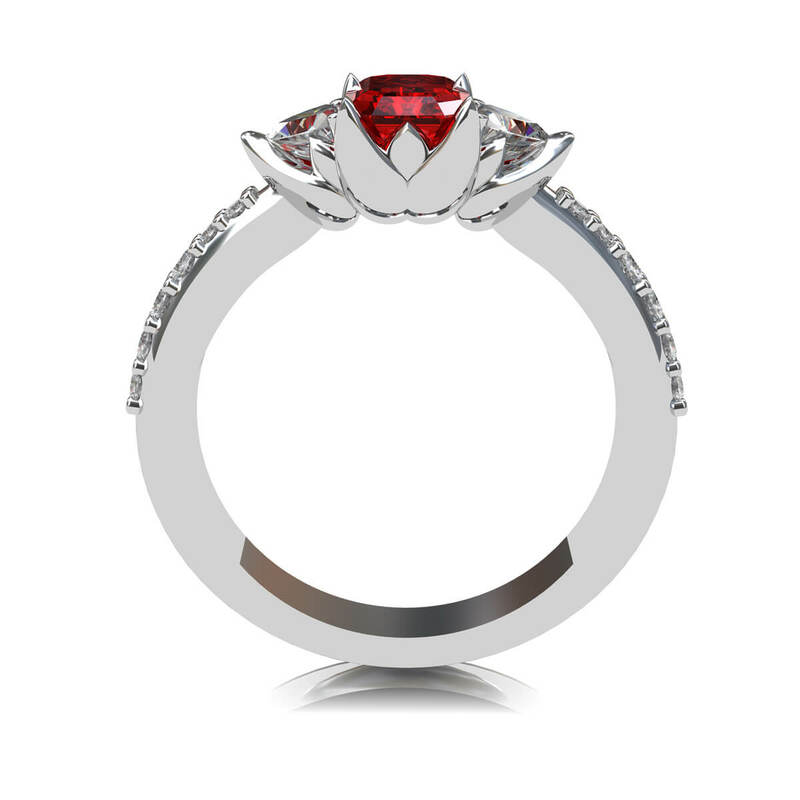 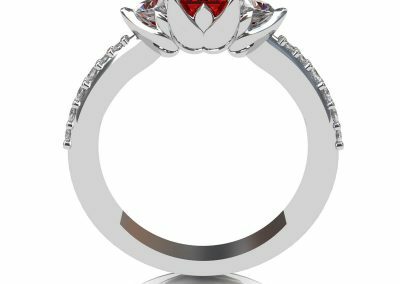 This engagement ring was inspired by the Chinese Lotus flower with a symbol of purity, to bind, connect and to love; perfect for a symbolic ring. 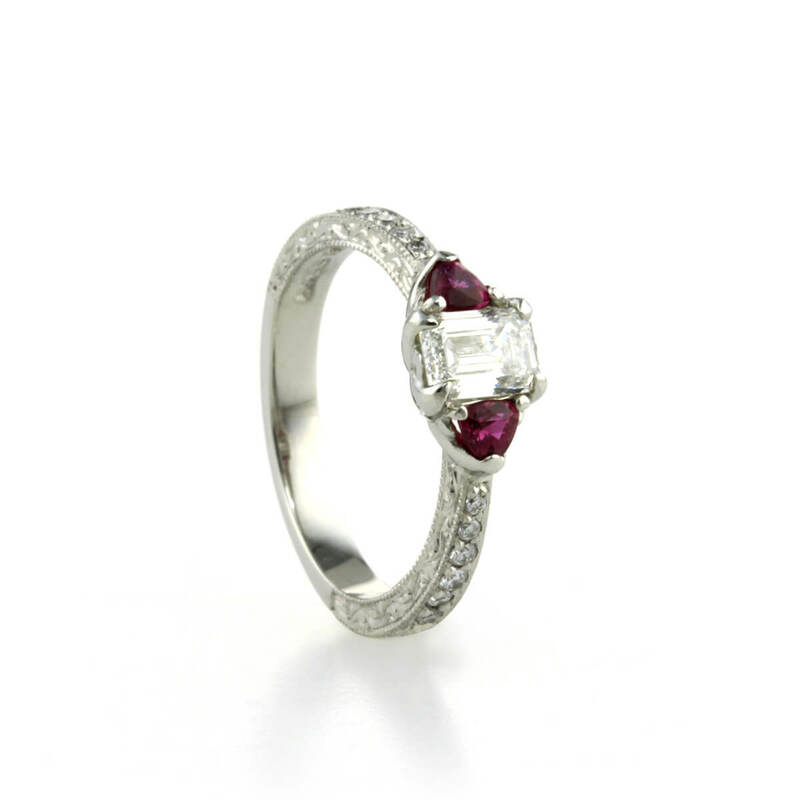 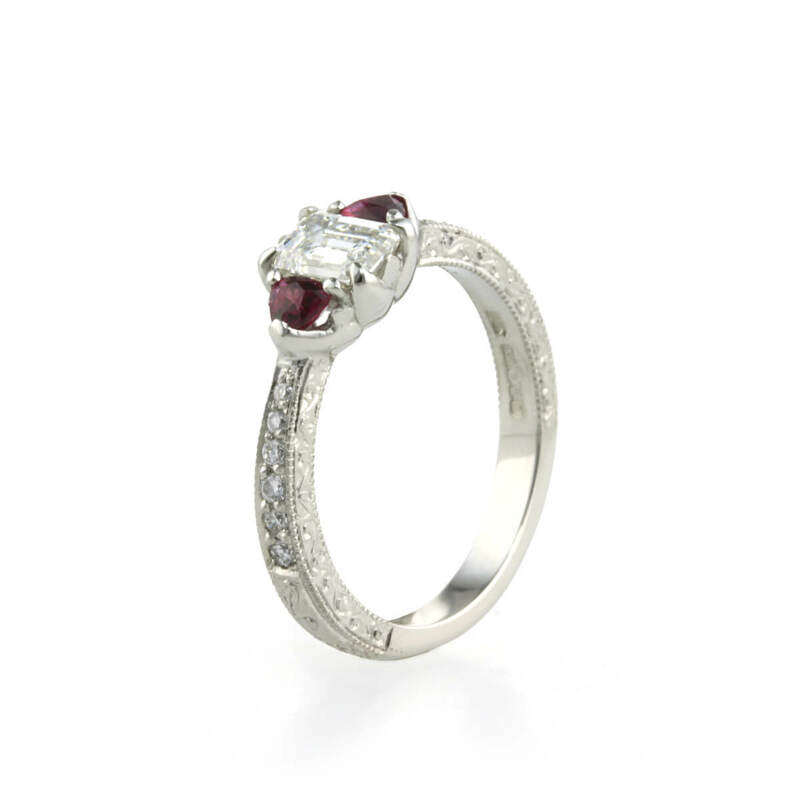 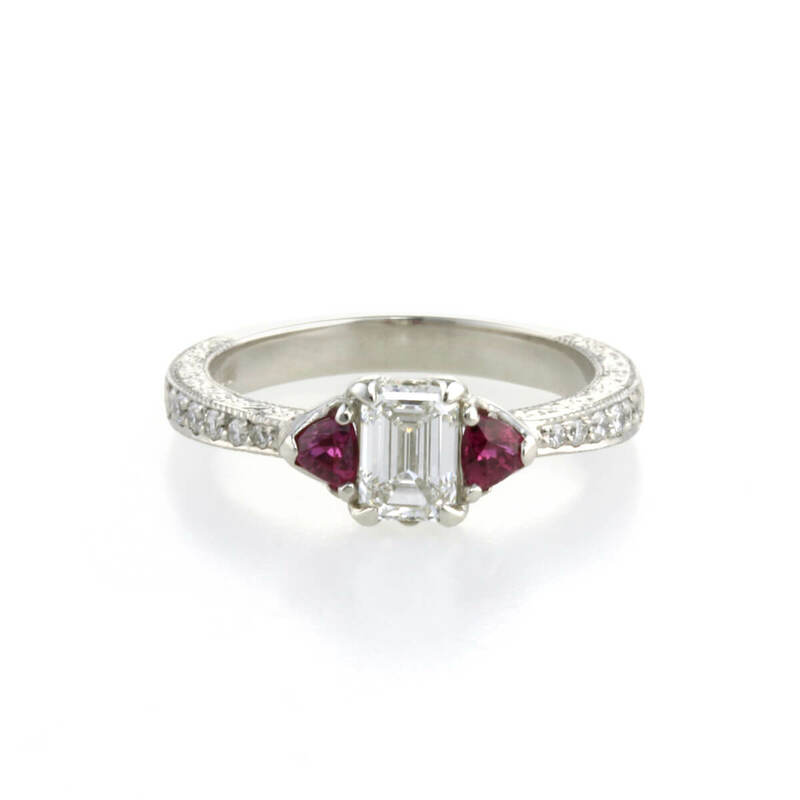 The ring was set with a GIA certified 0.4ct emerald cut diamond, 2 3mm trillion cut rubies and 6 diamonds grain set down each shoulder. 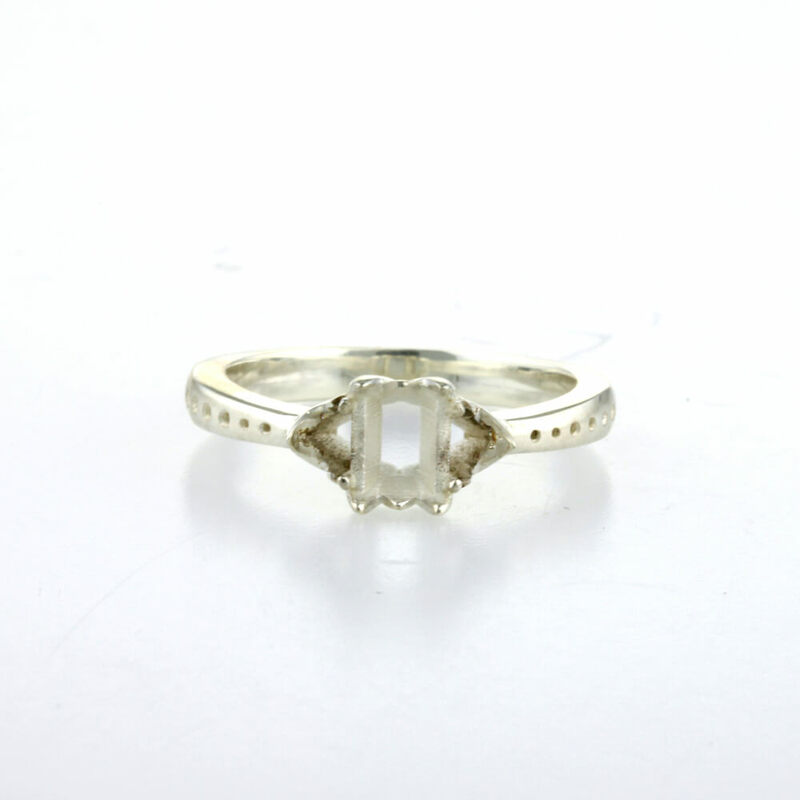 The ring was hand engraved by Rodney Rigby. 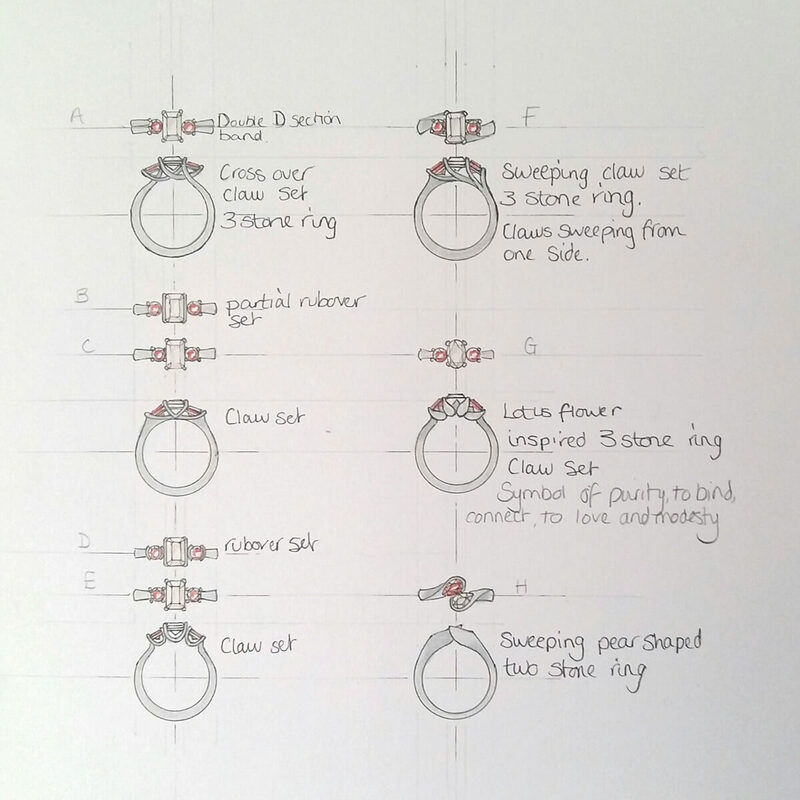 Initial CAD rendered images giving a realistic view of the proposed design. 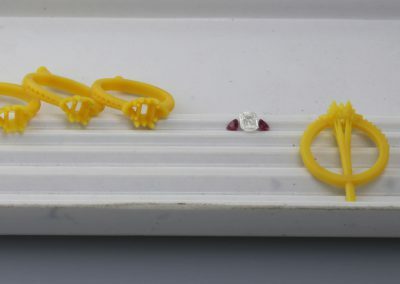 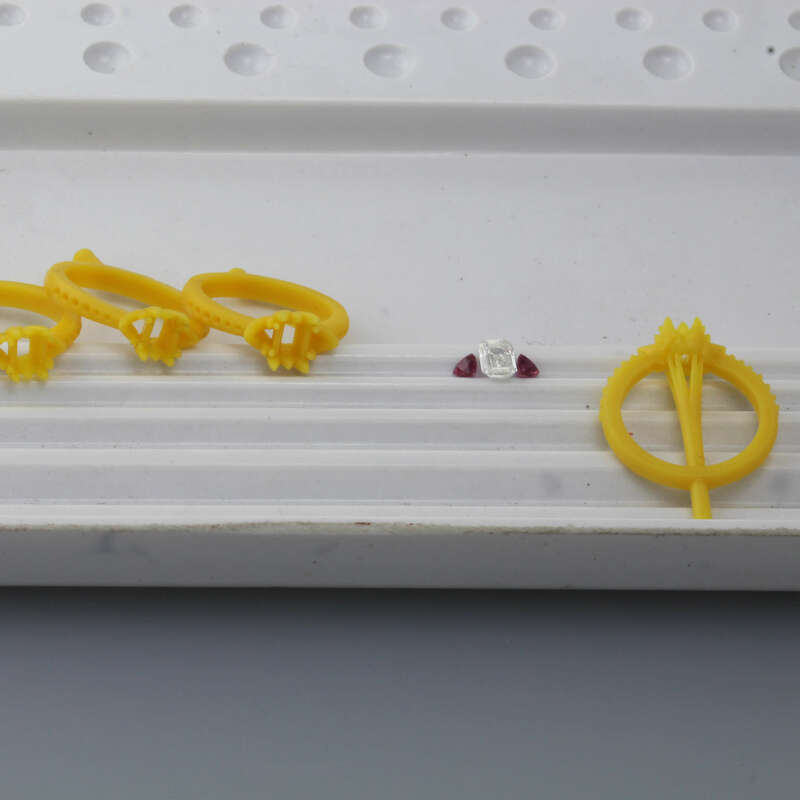 A selection of resin models were made in preperation for casting. 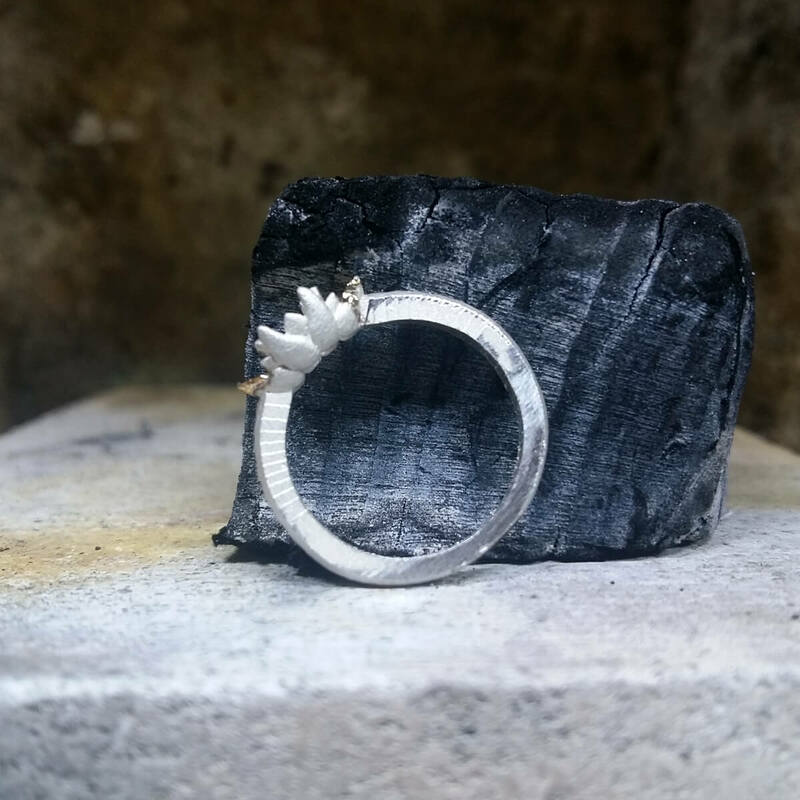 The silver ring, cleaned up and polished ready to take a mould.